Once on This Island is a little gem of a show that has rarely been seen on local stages. It was written by Lynn Ahrens (book and lyrics) and Stephen Flaherty (music) based on the novel My Love, My Love or The Peasant Girl by Rosa Guy. The show was first produced off-Broadway by Playwrights Horizon in 1990 and then moved to Broadway where it ran for 469 performances and was nominated for eight Tony Awards including Best Musical and Best Score. McCoyRigby Entertainment produced a wonderful production in La Mirada in 1997 and Performance Riverside staged it in 2003. 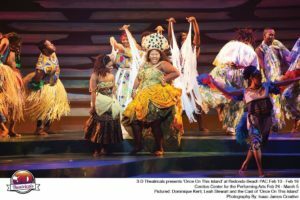 Now this lively musical has been given a big, colorful production by 3D Theatricals, first at the Redondo Beach Performing Arts Center (where it was reviewed) and at the Cerritos Center. Don’t miss it! 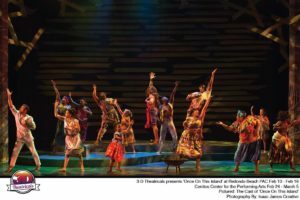 This intermission-less wall to wall musical is a delightful fable set on a Caribbean island similar to Haiti where the dark skinned peasants toil in their villages for their daily bread while the lighter skinned Beauxhommes play in their cosmopolitan cities. On a wet and stormy night the villagers gather around a fire to tell the story of the little orphan girl Ti Moune who was rescued from a similar storm and sent on a mission by the gods to see if love could conquer death. 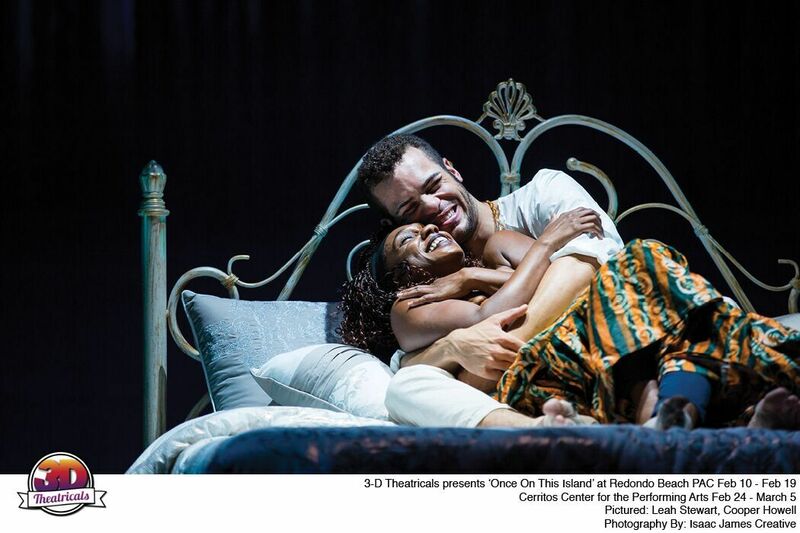 It is a charming, infectious tale told by a stage full of storytellers. Director Rufus Bonds, Jr. has more than doubled the usual number of cast members and given the show a fuller, richer feel. The extra chorus also aids greatly in bringing Yusuf Nasir’s energetic and rhythmic choreography to life. Corey Hirsch provided the great musical direction while leading the six-person pit band. The grown Ti Moune (a vibrant Leah Stewart) prays to the gods to discover her purpose in life. 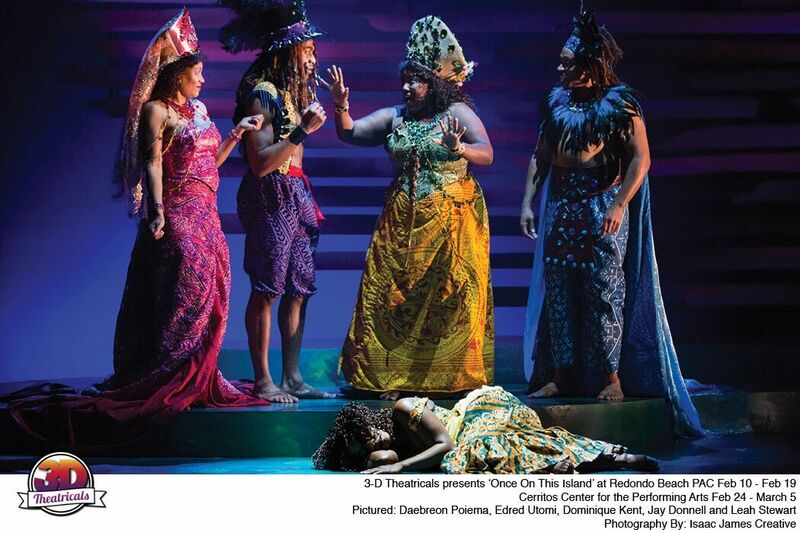 The gods–Agwe, God of Water (Jay Donnell), Asaka, Mother of the Earth (Dominique Kent), Erzulie, Goddess of Love (Daebreon Poiema) and Papa Ge, Demon of Death (Edred Utomi)– decide to have some fun with her and make her prayers come true. She rescues Daniel (a charming Cooper Howell), a young Beauxhomme from his wrecked car and nurses him back to life over the objections of the villagers who believe his fate is in the hands of the capricious gods. Ti Moune falls in love with Daniel and when Papa Ge shows up to claim his life, she offers hers instead. She follows Daniel back to the city, becoming his mistress while thinking he will marry her. But Daniel has long been engaged to marry Andrea (Jenna Gillespie) and as he sings “Some girls you marry, some you love.” When Papa Ge tells devastated Ti Moune to exact her revenge on Daniel she refuses, setting up the magical, fairy tale ending to the tale. 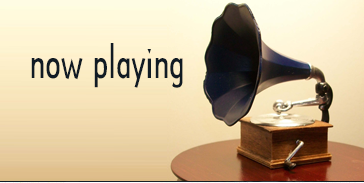 The score by Ahrens & Flaherty (they would go on to write My Favorite Year, Ragtime, A Man of No Importance, Seussical, Rocky and the upcoming Anastasia) has an irresistible calypso beat that will have you dancing in your seat. There are some great fun uptempo numbers like “Mama Will Provide,” played full out by the jovial Kent, and the opening number “We Dance.” There are some lovely ballads such as “The Human Heart,” beautifully sung by Poiema, and “Ti Moune.” The cast is in great voice throughout and their greater size really gives heft and body to the group numbers. 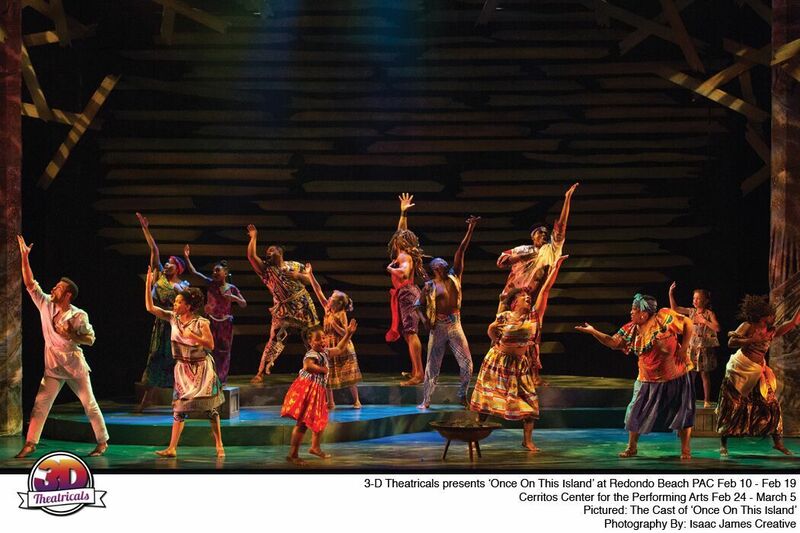 Stephen Gifford’s scenic design, utilizing a turntable, conveys a variety of places. Nephi Garcia’s colorful, evocative costumes portray peasants and wealthy Beauxhommes as well as giving fanciful life to birds, rocks, trees, grass and the magical gods of the story. Jean-Yves Tessier’s lighting sets all the moods perfectly. Cerritos Center for the Performing Arts, 12700 Center Court Dr. in Cerritos. Ends March 5. 562-916-8500 or www.cerritoscenter.com or www.3dtshows.org.